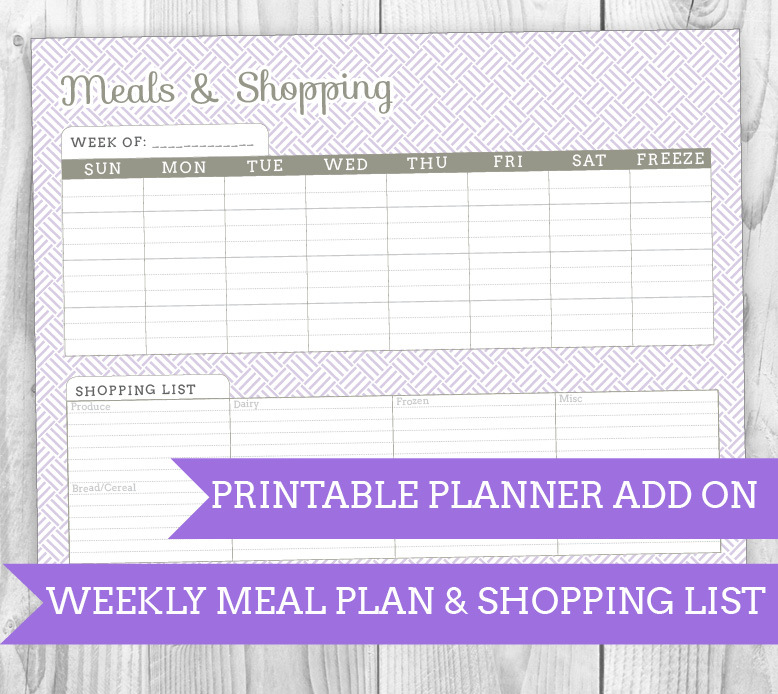 While the Weekly Tear Out Meal Planner and Shopping List works for those of us who shop and cook for the week – what about the Once A Month Cooking folks? 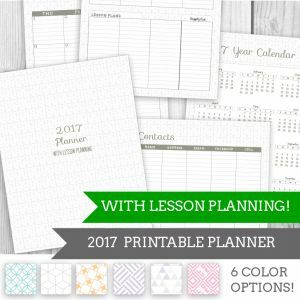 Or those who simply like to plan further ahead? 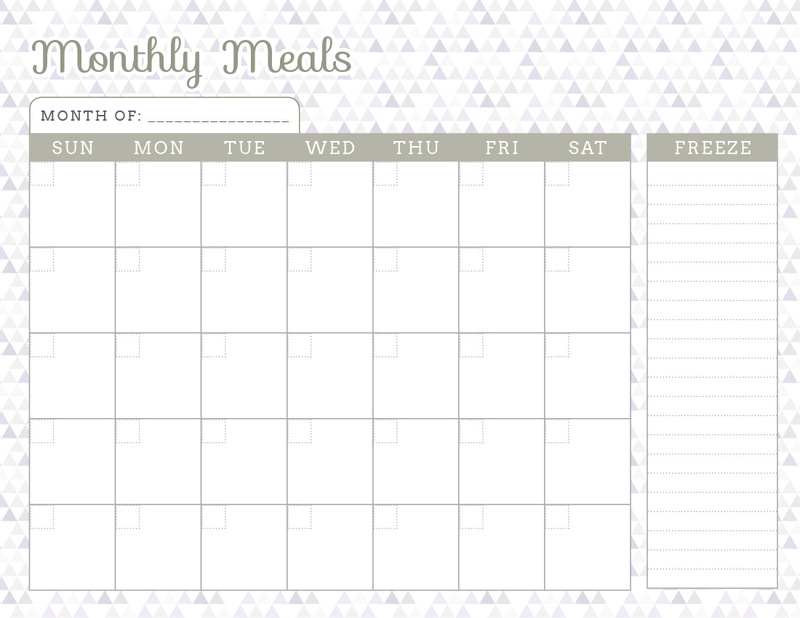 What about those with deep freezers full of goodies they don’t want to go bad – but are easily forgotten? 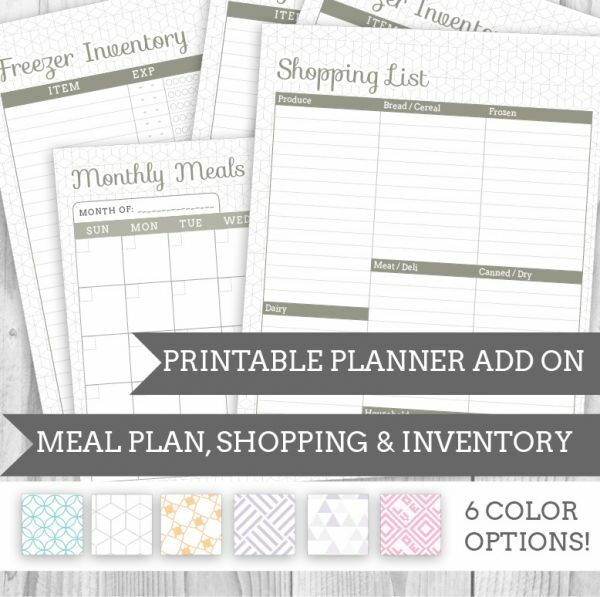 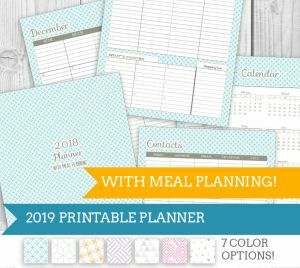 This Month Meal Planning, Shopping and Inventory Add On has several great features, including monthly planning and freezer inventory. 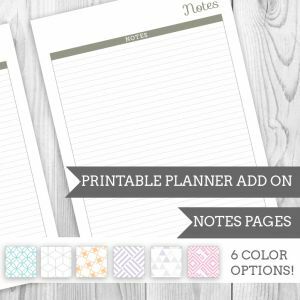 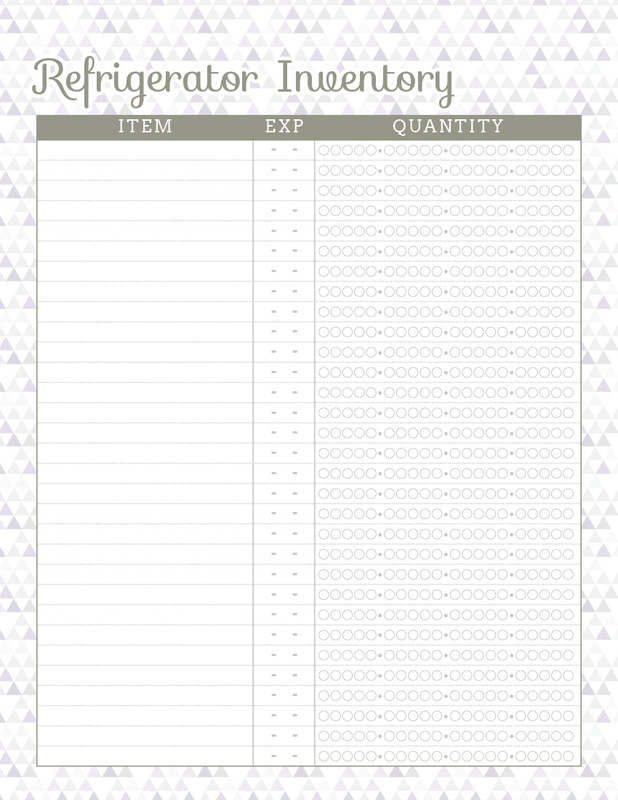 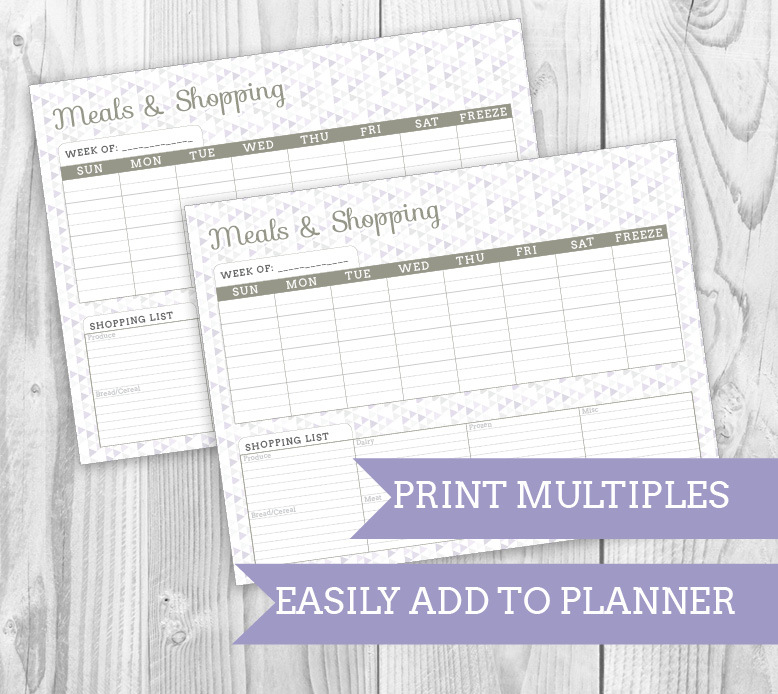 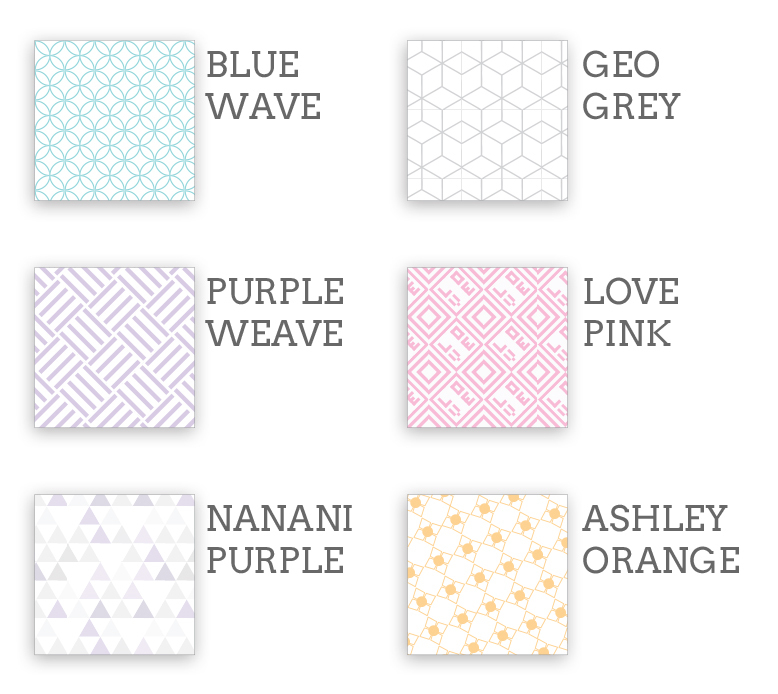 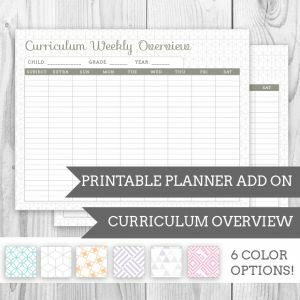 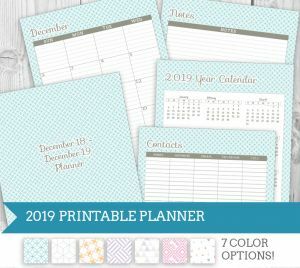 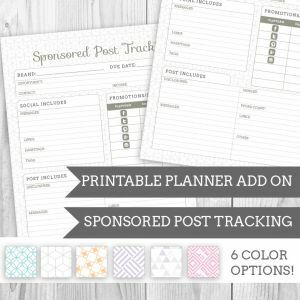 Print one each month, or print your favorite pages (like categorized shopping list) over and over! 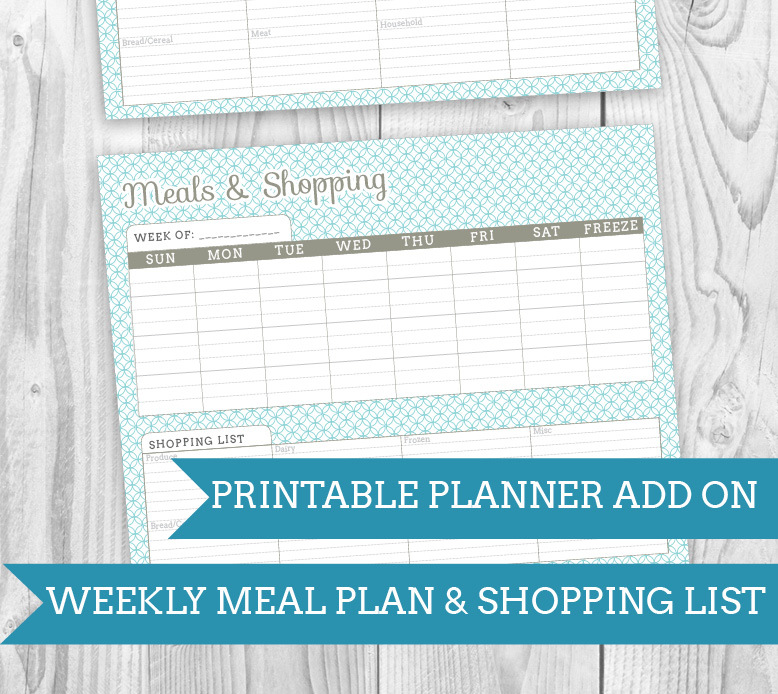 Weekly meal plan worksheet with shopping list (As in the Tear Out Meal Plan). 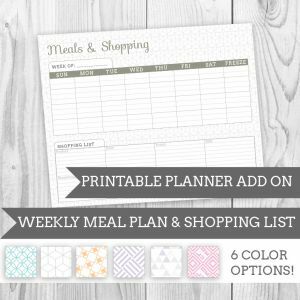 Monthly meal plan with 5 weeks and shopping list. 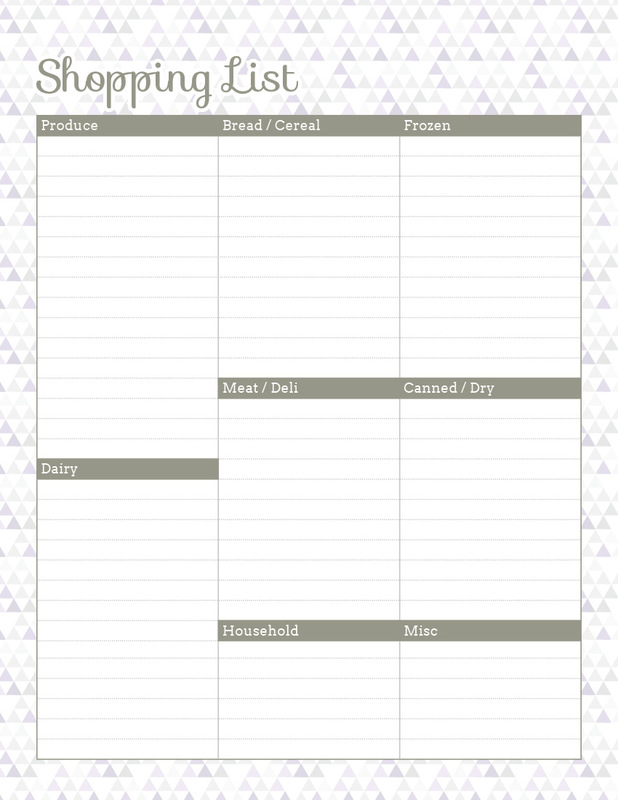 Freezer, Refrigerator and Pantry inventory list with room to mark expiration dates and quantity.